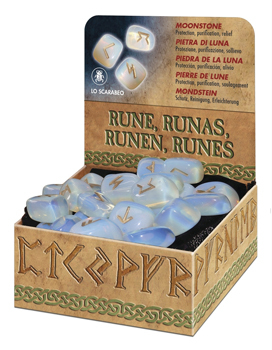 Discover what divinatory messages are waiting to be revealed with these beautifully crafted moonstone runes. Runes help you find the answers to your most pressing questions and unlock the secrets of your life. Using the exquisite synthetic moonstones, convenient carrying bag, and instruction booklet included with this set, you'll be inspired to move confidently toward your goals.